Freelance tech writer who specializes in cutting-edge in-home technology and gaming news who got his start in 2010 writing for GamesRadar and Red Bull Media House. So you installed a few automation devices around your house, and you’re feeling ahead of the curve. After all, now you can control your thermostat, lights, and entertainment system from the convenience of your smartphone. But did you know there is a super simple way to connect all those systems so they can work effectively with one another? Check out these useful IFTTT tips and unique hacks to help you connect a variety of sensors in your home. If This Then That, or IFTTT, is a free online service that allows people to establish conditions among apps and other devices to connect home automation devices for intuitive actions. For example, users set up triggers for certain occurrences (say, ordering a pizza from Domino's) and corresponding actions for each (like automatically turning on the porch light for the delivery driver when the order is placed). These triggers and actions can readily be applied to a selection of home automation devices that offer IFTTT functionality. Incorporating IFTTT into your home automation helps you customize and take serious ownership over your connected devices. If you live your life by a precise schedule (or want to), setting up recurring rules can make fill in for the things you wish your devices did. For instance, you can establish a rule to have your front porch lights turn on whenever your ring smart doorbell detects motion. Does IFTTT work with Alexa, Google Home or Samsung Smart Things? Yes, you can easily use IFTTT with Alexa and any devices she works with. This tutorial explains the process of using Alexa applets. Google Home is also easy to use with IFTTT. IFTTT is not just a smart home feature; it works with a variety of smartphones and does not even require a virtual assistant. For example, you can set up an IFTTT to remind yourself to drink water every two hours. Strobe your SmartThings siren if category 1 hurricane winds are nearby. Two devices that pair particularly well with IFTTT are window sensors and motion sensors. Window sensors typically operate as two connected magnets on a window (or door) jamb that trigger when the window is opened. 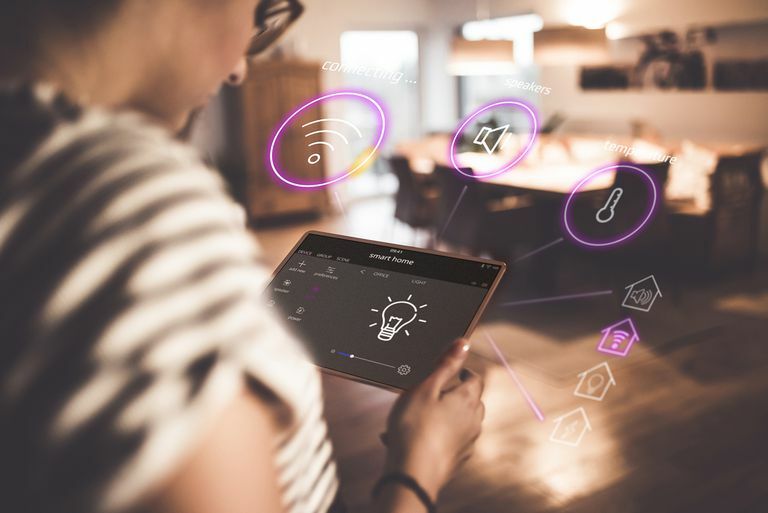 These devices sync up to a security system, which in many cases can be connected with IFTTT, opening up a world of possibilities. You can easily attach a window sensor to your mailbox (as long as it’s within WiFi range) that lets you know when you get mail via text message. If you’re counting calories, you can place a sensor on the fridge door and set up an IFTTT that sounds an alarm any time you open the fridge after a predetermined time. This same basic principle can be applied to just about any drawer or cabinet in your house that you would like to monitor or track. Motion sensors present similarly creative use cases. Motion sensors are often connected with lighting as an anti-theft deterrent, but you can easily turn this to your advantage. For example; you often get up in the middle of the night to use the restroom but either fumble around in the dark or need to contend with blindness when the lights come on. With IFTTT, you can set up a rule that if an interior motion sensor is triggered in the wee hours of the night, the lights will only come on at a dimmed setting. Indeed, lights are probably one of the coolest devices you can take advantage of. Most smart lighting manifests as either a socket or (more commonly) a lightbulb. One such product, the Philips Hue light bulb, offers a slew of functionality. Tell Alexa to start the party with a color show. Along with lighting, internet thermostats are one of the most common smart home upgrades. There’s still a good chance you aren’t using your device to its fullest potential. Everyone knows their smart thermostat helps them save money by making more frequent and intentional adjustments to temperature throughout the day. But as with most smart devices, this can be further expanded. When your home senses that no one is home, set your thermostat to economy mode. While most of these hacks will take some time and patience to get working, they’re all relatively easy to establish, especially if you already have connected devices installed in your home.